It’s beginning to feel a lot like Christmas in our kitchen, especially when we packed up a selection of our Christmas macarons last weekend, for a local event. We have been busy creating some new seasonal flavours over the last few weeks too, including mulled wine and rum & raisin and they are now ready for you. Orders are now being taken for Christmas. 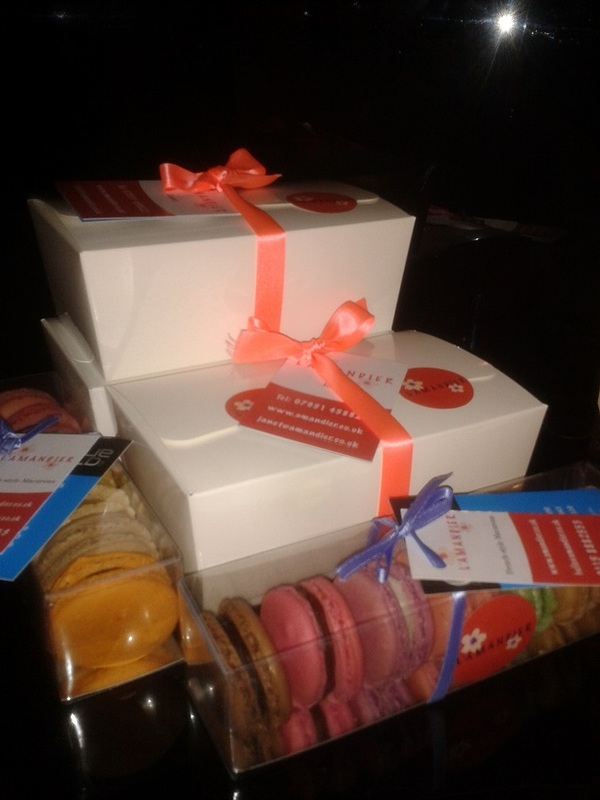 We can supply you with display trays of 35s for your event, gift boxes of 7 or 12s or even in a gift bag. To include a selection of the following flavours: Chocolate, Clementine, Gingerbread Spice, Pistachio, Mince Pie, Mulled Wine and Rum & Raisin. If you would like a selection for Christmas, your Christmas party or just a treat over the festive season, then get in touch and e-mail us. 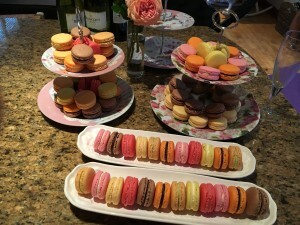 Colourful range of L’Amandier macarons used for table centerpieces and table displays at some recent events. 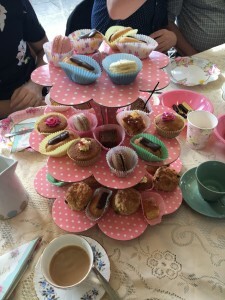 From an evening supper party to an afternoon tea for 100 to celebrate a 90th birthday party. L’Amandier can work with you to create a range of flavours and colours to help you celebrate any event. 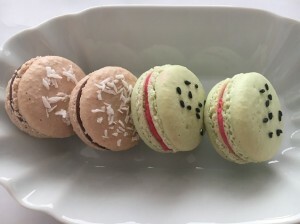 With summer around the corner, we are ready to launch our new and exciting summer flavours; Earl Grey & Cardamon, Tropical Coconut and Watermelon. Perfect additions to add to your menu or special occasion and wow your guests with a little burst of summer. Be it an afternoon tea, garden party or a bbq, we think the colours and flavours will compliment your desert table, especially this time of year. 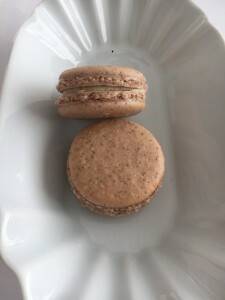 Family-run bakery specialising in the French macaron now taking local orders for our Christmas macarons. 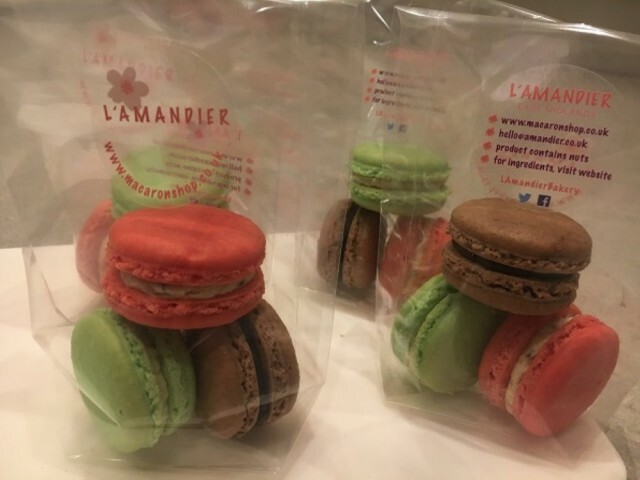 Festive boxes of 7 or 12 macarons, with Christmas ribbon if required, available for collection from two locations, Bottesford and West Bridgford from Wednesday 21st December. Ideal for gifts or festive tables. Flavours to include a mix of the following: Gingerbread Spice, Mince pie with brandy, Tangerine, Chocolate, Raspberry, Strawberry, Lemon and Blueberry. Email us for further details. Summer feels like it might be on the way at last and we have created a tropical fruit macaron to get us in the mood for all those barbecues and parties coming up. This will also be available with a range of our other seasonal flavours to include; Blueberry, Chocolate, Hazelnut, Lemon, Raspberry, Strawberry and Toffee Apple. 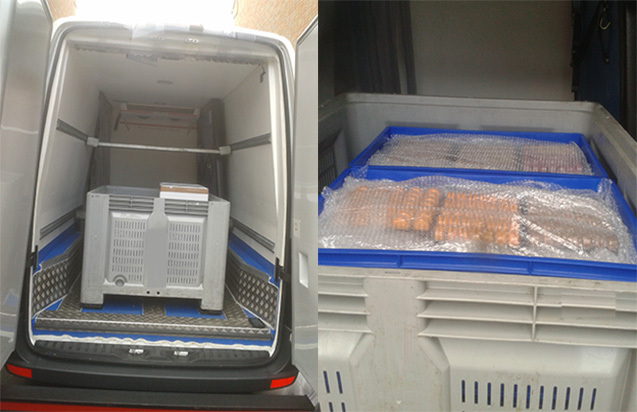 All the above flavours are available for local delivery or collection from our West Bridgford kitchen for the next month. Email us for further details. With spring now upon us, we look forward to returing to the farmer’s market. 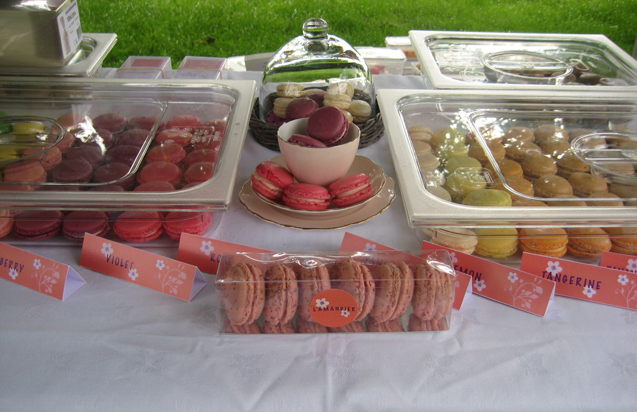 As usual, we will be bringing a selection of our tasty french style macarons, including our new cherry flavour. 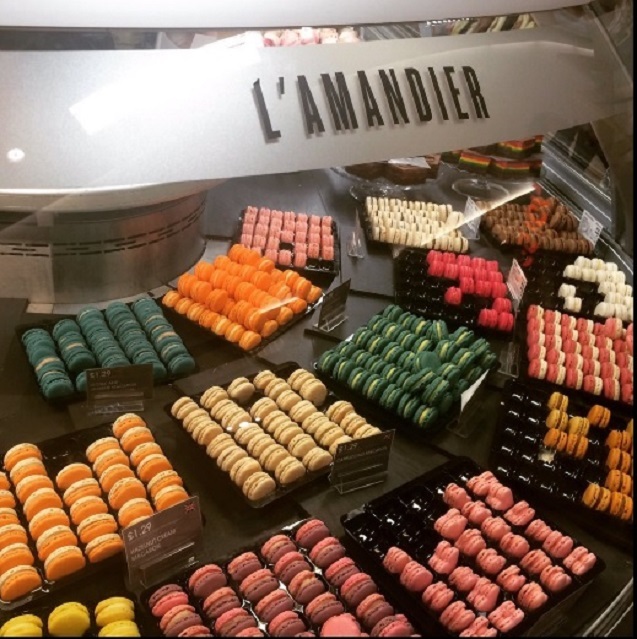 We will also be displaying a selection of our beautiful favour boxes for those interested in having L’Amandier macarons as wedding, baby shower or party favours.